::::: Welcome to Web Series Today "collaborative environment"
::::: Help get LGPedia back online!!!!! <== ACT TODAY!!!!! ::::: Welcome to new Web Series Today blog "authors". <= PLEASE READ CAREFULLY!!! 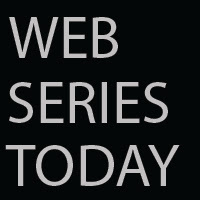 Enjoy the latest Web series, Web shows, Web news, and community videos on Web Series Today. Web series community+ <== JOIN!!! Please do not tap on the glass! Michella Corleone is back for more!